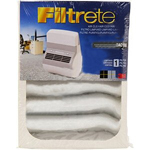 The 3M OAC100RF Replacement Air Filter is the replacement filter for the 3M Filtrete OAC100 Office Air Cleaner. 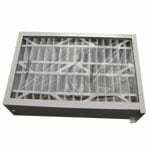 This easy to change filter reduces airborne dust, pollen and particulates down to 0.01 microns. 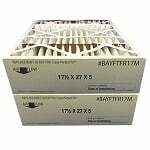 The GE P00633 Carbon PreFilter 2-Pack is a carbon pre-filter that fits the GE 106633 model air cleaner. 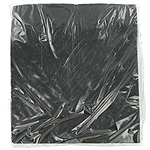 This carbon filter for air cleaners measures approximately 15.5" x 20.5" x 0.25" and traps large airborne particulates. 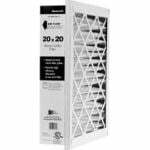 The Sunbeam 6618 Carbon prefilter 2-pack works with your Sunbeam 2590 air purifier. 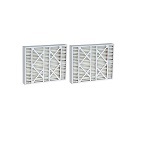 This convenient two pack will keep noxious gases and large particulates out of your homes air. 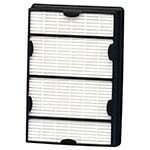 This will increase the life of your air purifiers HEPA filter. The Vicks CF1 Carbon PreFilter 2-Pack helps control odors and other impurities within the air. 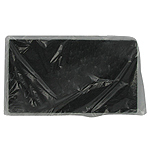 The Vicks CF1 Carbon PreFilter should be replaced every 3 months, depending upon air quality. The Phillips CAF150 Carbon PreFilter features absorbent carbon that aids in reducing impurities, odors and air borne pollution. 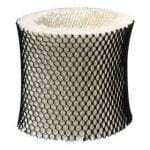 This Phillips CAF150 Carbon PreFilter 2-Pack should be replaced every 2-3 months depending upon air quality. The Pollenex FP1000 is the correct replacement for the following air cleaners: Pollenex Air Cleaners requiring a carbon pre-filter.